Keeping the Best Fish, Releasing the Rest! If you are like me, you simply enjoy fishing. Whether I am casting from the bank or dropping a line way offshore, I really enjoy the feeling I get, being in my own little world, waiting on a fish to bite. To me, fishing is more than a verb. It is a place of tranquility that allows me not to think about what is going on in the world. I promote catch and release because it was the way I was raised to respect the resource and take only what I needed, not what I could. 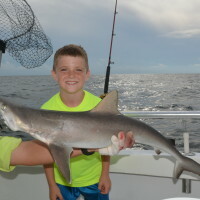 My goal as a charter fishing guide, is to share my knowledge and take you and your family to experience deep sea fishing in a way that nobody else can. I want to give you a chance to catch some really nice fish, regardless of what is in season or whether you can keep them or not. My customers tell me all the time, that they had rather catch bigger fish they had to let go, rather than catching a lot of 10″ to 12″ fish like the one shown in this article. 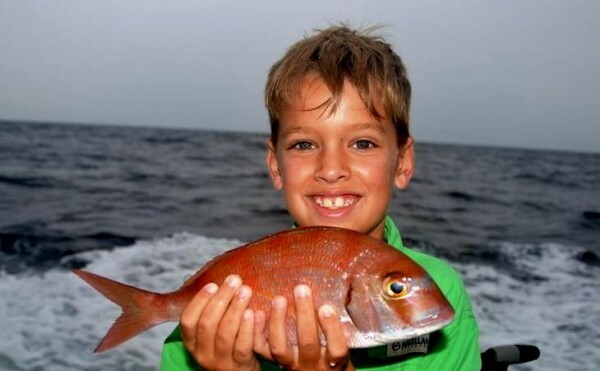 If you are like me, the small fish like red porgy or vermilion snapper simply don’t offer the fight that larger fish do and I am all about “getting the bite and enjoying the fight.” Even though most people understand that when you book with the average charter boat in our area, they are going to take you to catch fish you can keep. 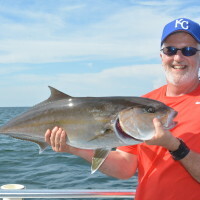 Since the red snapper, triggerfish and amberjack seasons are closed most of the summer and you go with someone other than the Distraction, they are most likely not going to ask you what would you like to catch. We are different than the rest. We ask you up front, what would you like to do before we confirm your trip. That way, you get the trip you expect and not what the captain gives you. I have always been told, “If you do what everyone Else is doing, your only contributing to average.” Well, I have never been average. I don’t like doing things the same way as everyone Else. I believe, every moment and every breath creates an opportunity to do something different and expect different results. Sure, we can target smaller fish like the one posted in the picture above if you like, but most of our customers tell us that they can catch small fish like that back home and they had rather catch fish that are big and offer more of a challenge to the angler. 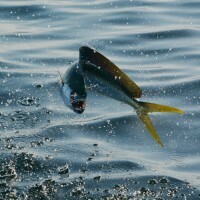 Keeping fish is not near as important as fighting a bunch of larger fish that have to be released. The idea of only keeping the best, came from back in 2003 while asking my customers “What do you plan on doing with the fish you catch today?” To my amazement, over 90% of the anglers surveyed on my boat, simply wanted to go fishing and have a good time. 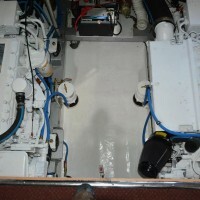 They did not want to have to deal with the bags of fish that are customary after every charter trip. Most everyone who fishes with me, likes to keep enough for a meal or two. 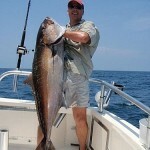 Our customers are in town on vacation and most do not have the means of dealing with an abundance of fresh caught fish. This has been verified many times over by friends in the condo cleaning industry who tell me that people are all the time leaving huge bags of fish in the refrigerator or freezer for the taking, after they have checked out and gone home. I realized that we had an opportunity to not waste so much fish. It was our responsibility to not harvest so many fish if the customers do not want them. By asking potential customers what they wanted to do with the fish they were going to catch, was and is the right thing to do as responsible fishing guides. Now, before you think that I am all about promoting catch and release, you need to understand that I see things differently than most. I was raised to “take what I need, not what I can.” I have always been that way. I do understand that not everyone shares my views and I don’t begrudge anyone who wants to take a mess of fish home to eat. I do understand that some people want to keep every fish they catch and totally respect that. The problem we are all facing now, is there are too many people who have kept too many fish in the past and we all are paying the price for it. Over harvesting our quota for so many years, has led to all of us having short seasons with extremely small bag limits. I don’t know about you, but having a 9 day red snapper season this year, makes it tough for any businessman. Not to mention, triggerfish is closed and amberjack will be closed during June and July this year and will likely remain closed throughout the rest of the year. We hope you enjoy reading our articles and understand that we all must be better stewards of our natural resources so future generations will have fish to catch. If catching a few big fish and trying to catch a few to eat sounds like fun, please fill out this reservation form and hit the submit button. We would love to take your family to experience fishing. I promise to do my best to make your trip special.